Instead, Haswell overclocks the same as IB, the performance is ~10% better on average, power consumption lower than IB when idle, but higher under load. Overall, Haswell did not really live up to the pre-launch hype, and the improvements to iGPU performance and idle power consumption do not distract from the limited OC capability or the limited increase in performance. Of course, 10% extra is nothing to scoff at, so we will be changing our recommendations in the guide to switch to Haswell for new PC buyers, but if you already have IB (or SB), then Haswell’s improvements are really not worth the price of a new CPU and mobo. On a side note (and please excuse this rant), Intel is one of the largest tech-related companies in the world. Wikipedia says they have 105k employees, and has a net profit of 11 billion in 2012. I am sure that if Intel wanted to, they would have focused more on desktop performance, instead of mobile-related improvements. Why is Intel’s new lineup so lacklustre when compared to its old lineup? That is because the competition has not been competing well. In fact, if Intel had just cancelled this launch and stuck with IB for this year, the competition would still be losing. Weak competition is really bad for consumers, so we truly hope that 2014 will bring something fresh to upset the current situation. For a huge list of even more sources, take a look at this Haswell flood thread on reddit. –Superb tier: Will switch to cheaper models of non-OC Haswell CPUs, with appropriate mobos. 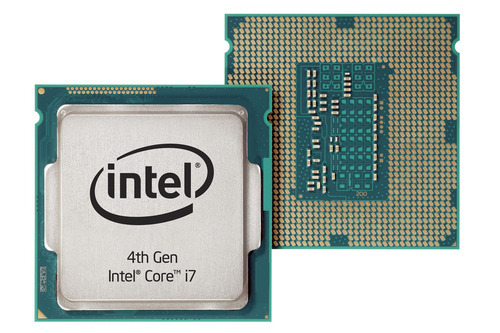 –Excellent/Outstanding tiers: CPU will switch to 4670 + 4670K, with appropriate mobos. –Exceptional/Enthusiast/Extremist tiers: CPU will switch to 4670K+4770K, with appropriate mobos. Mobo choices are usually quite turbulent after any major CPU release, since there are many mobo manufacturers, and each manufacturer will have a rather large lineup of models. We will be making mobo choices from the brands/models shown in the list below. Please note that some models are marked (??? ), as they are not yet available for purchase, or may have prices that are not yet logical, or may have other issues. This is normal: Availability will improve, and vendors usually adjust prices after a few weeks of observing buying trends, review articles will be published and we will get to know these mobos better. Since there will be tonnes of new items available, there will be some very good mobo models that may escape our notice, so if you find any missing, please let us know. If you already have SB/IB, you can skip Haswell without worry. If you have something weaker and you want to upgrade, or if you are buying a new PC, then Haswell is a good choice. Logical Increments now has Haswell CPUs and compatible mobos in the appropriate Superb-Extremist tiers.